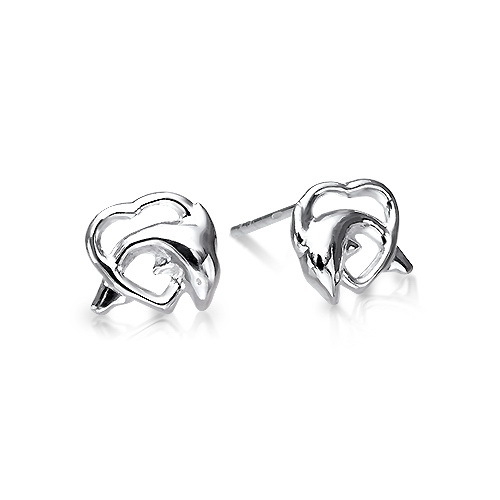 Sterling Silver Pretty Dolphin in Heart Studs. These Pretty Dolphin in Heart Studs are Great for Little Girls & Ladies alike. They have a have a Dolphin jumping through the the Heart & Look Great as the post is at the top so they sit on and just below the lobe. They are Approx 11mm high x 10mm wide. This website is strictly for approved Wholesale customers only, if you are looking to purchase these Pretty Dolphin in Heart Studs from a retail store, please visit Shooting Star.